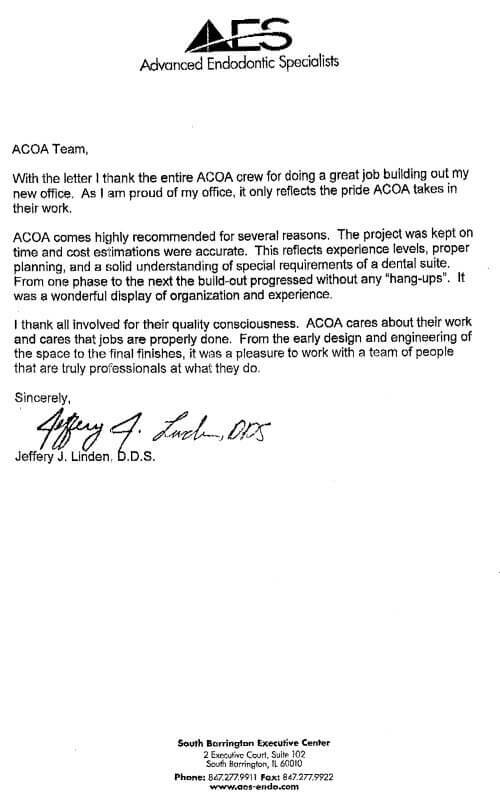 "ACOA comes highly recommended for several reasons. The Project was kept on time and cost estimations were accurate. This reflects experience levels, proper planning, and a solid understanding of special requirements of a dental suite. From one phase to the next the build-out progressed without any ���hang-ups��. It was a wonderful display of organization and experience."